Goodwill Wealth came into existence in the year 2008 and since then it is providing the investors and traders with the necessary share broking services. The article below is a Goodwill Wealth brokerage review based on its performance over the years, its products and services, brokerage and other charges. The article also includes direction to open a Demat account with the respective company and its benefits and many more details for the investors. Founded by Gandhimathi Bhaskaran in the year 2008, Goodwill Wealth provides various stockbroking services to the investors. It is a full-service broker and privately held by company owners that have it’s headquartered in Chennai, Tamil Nadu. The company is a member of NSE, BSE, MCX, and other national exchanges. Goodwill Wealth brokerage charges are quite flexible which ranges from 0.1% to 0.2% for the equity delivery segment. The rate for currency and equity futures, equity intraday, and commodities trading are the same and within the range of 0.01% to 0.02%. The charges for trading options are – Rs. 10 to Rs. 20 for each lot of equity options and Rs. 7 to Rs. 10 for each of currency options. The mandatory charges over and above brokerage charges are STT charged at 0.0126% of the total turnover and 0.0002% of the same for SEBI turnover charges. The transaction charges are 0.00333% of a particular transaction. The stamp duty depends on the State from where the investor is trading and the GST is chargeable on brokerage and transaction cost at 18% rate. For opening Demat account with Goodwill Wealth you need not pay any amount as it is free. The charges for the account that you need to pay are the annual maintenance charges at Rs. 333 for the Demat account and Rs. 230 for the trading account. The company asks for no margin money requirement. How to Open a Demat Account with Goodwill Wealth? Click on Open Demat Account button below & Fill the application form with your details. Once your documents and application get approved, you will be provided with the login credentials of your account. 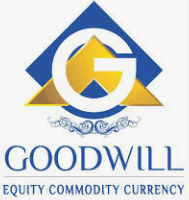 Why Open Goodwill Wealth Trading Account? As a share broker, Goodwill Wealth products obviously includes the basic financial products like equity, commodities, derivative and currency derivatives as well. As a financial service company, it also includes Mutual funds, SIP investment products, and insurance products for the wellbeing of its investors. The Goodwill Wealth services includes the must like intraday trading facilities, Demat and trading facilities as well as Initial public offering services. Goodwill Wealth Research team provides the clients with free stock tips across different company’s shares and stocks, daily, weekly and monthly reports of the stocks that the investor’s trade. The research team also supply information about the top stocks of the day. The Goodwill Wealth advisory team dedicates its effort to help the clients offline as well with necessary advises that they seek. Clients can directly deal with the relationship offices about their queries related to trading. Leveraging holds utmost importance in share market especially when going for big deals. With Goodwill Wealth exposure level you can expect up to 5-times leverage for the segments like equity intraday, equity options, and commodities. The currency options are leveraged up to 3 times while the rest like equity delivery, equity futures, and currency futures have an exposure of a maximum 2 times. The Goodwill Wealth trading platforms range from the trading terminal to a mobile app-based platform. This enables the investors and clients of the company to trade and monitor their portfolio whenever and wherever they want. This is a desktop-based trading terminal which is actually a software that an investor on opening the account with Goodwill Wealth needs to download from their website. The trading terminal works both on Mac and Windows operating system without any glitches. The web-based platform for both desktop and mobile have yet to be developed by Goodwill Wealth. Goodwill Wealth customer care centers are all across the country, it has around 40 branches. The customer care service is available via email support, online and offline mode as well. As per last year’s data, only one complaint was lodged against Goodwill Wealth on NSE which was resolved as well. The percentage of complaints received on exchanges if you compare it with the number of active clients of the company it is only 0.01% which is negligible. Goodwill Wealth within its one decade of the journey has reached many places and have a great clientele. With its dedicated services and variety of products, the company is creating a niche for itself.